This is one of my favourite homey dishes often cooked by my mother. I always feel that she’s the best in cooking it. 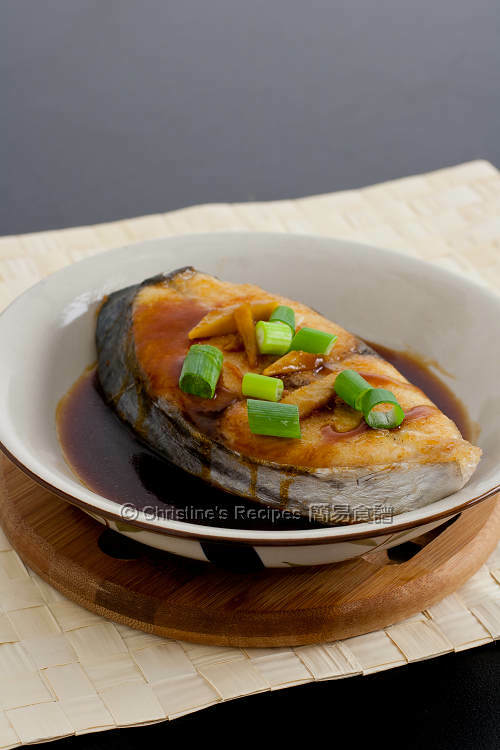 The fish fillet is pan fried perfectly and the sauce is just balanced. It is suitable for kids and seniors, and meat lovers of course, excellent with hot steamed rice. Rinse fish and wipe dry with kitchen papers. Season with salt, pepper and wine. Let sit for 10 minutes. Lightly coat with cornflour. Set aside. Heat oil in a non-stick frying pan. 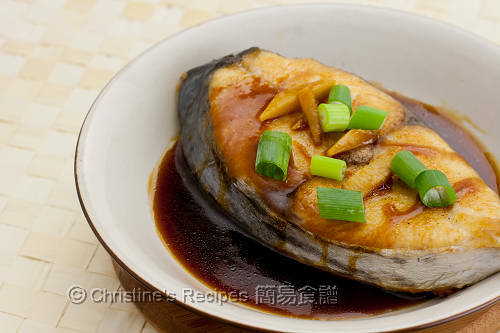 Pan fry the fish over medium-high heat until both sides are golden brown and cooked through. Remove from the pan, cover to keep warm. Add some more oil in the pan. Saute shallot, ginger and white spring onion dices. Pour in the sauce. Bring it to boil. Add thickening and cook to preferred consistency. Pour the sauce over the fish. Garnish with spring onion. Serve immediately. You might use any favourite white fish fillets. your mum is a really good cook, just like you. the dish presentation looks really elegant. Perfect! One of my favourite fish! My mum never made me much pan fried fish like this (we almost always had steamed!) until she discovered that I like pan fried salmon :D This sauce looks so tasty! Simple to cook and looks delicious. I will try soon. Thanks for sharing. Very fresh and delicious! Love the sauce a lot. I'm drooling look at your dish! I tried this - very nice. Thanks for sharing. I enjoy this kind of homey dish too! Perfect with steamed rice.